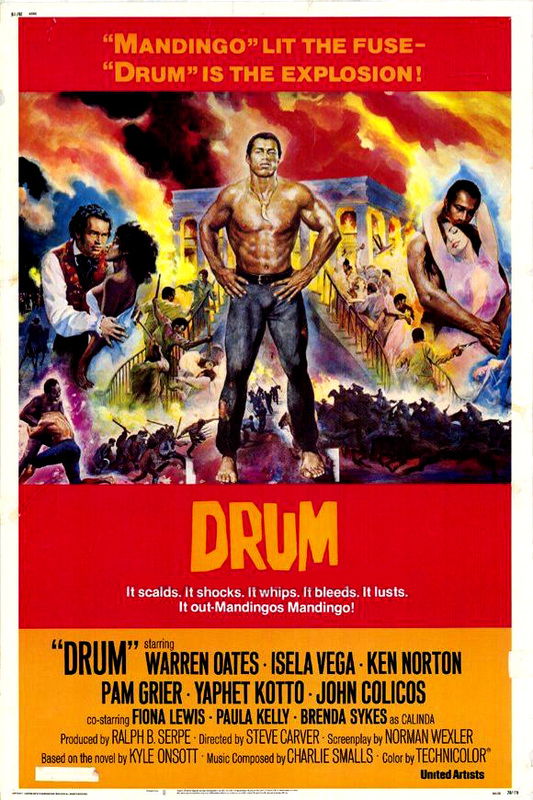 Drum (1976, USA) is a Blaxploitation film directed by Steve Carver & Burt Kennedy. It is the follow up to Mandingo. MANDINGO lit the fuse... DRUM is the explosion! It scalds. It shocks. It whips. It bleeds. It lusts. It out-Mandingo's "Mandingo"! This page was last modified on 23 October 2015, at 13:15.